Other information: Good with kids, dogs and cats. Indy is a handsome young cat who came to Regina Cat Rescue off the streets and in need of some TLC. 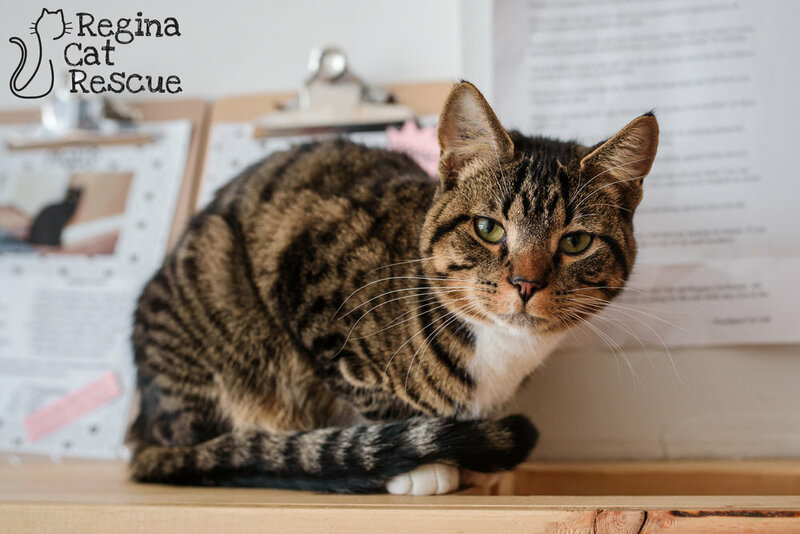 This sweet boy quickly proved that he was a sweetheart suited to a home rather than a community cat colony, and he was placed into foster care. Indy is one terrific tabby who is affectionate and easy-going, and he makes friends with all he meets. He settled in well to his multi-pet foster home with dogs and other cats, and is excellent with the kids in the home. Indy is handsome, well rounded and affectionate - what's not to love. He'd be fine with other pets or on his own. 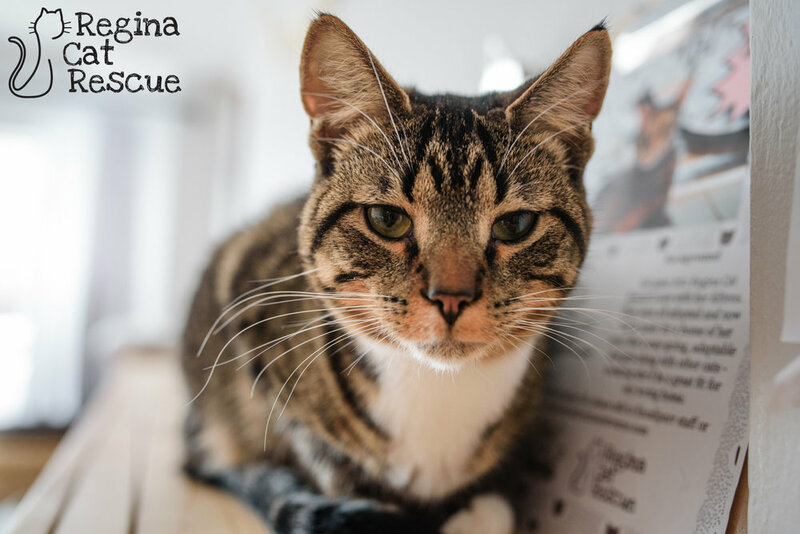 If you are interested in Indy, click here to view our adoption contract and click here to complete an adoption application or email the RCR Adoption Coordinator at adoptions@reginacatrescue.com for more info.